We humans have found many ways to communicate. Our infinite creativity has provided us the written word, sign language, slang and even long distance forms such as semaphore, smoke signals and ‘talking’ drums. All of these forms have been updated and adapted to be preserved and exposed to a wider audience as the medium has evolved, from books to radio to blogs and texts. It can be argued that while the technological platforms have enabled us to distribute information with greater efficiency to more people at astounding speed, the very nature of its speed erodes the natural flow of conversation. Regardless of our language it is this oral dialog that is the most comfortable and impactful to our little grey cells. Oral histories are also the most poignant, conveying a feeling of being there with a rhythm and tenor of the speaker through which you could feel what it was like to be there. Two of my favorite books about music are Legs McNeil’s ‘Please Kill Me’ and Jon Wiederhorn’s “Louder Than Hell’ – both of these books have a subtitle of ‘An Oral History of ….”. In the case of Legs it is about the early days of Punk and Wiederhorn’s is about Heavy Metal. The books take interviews from various magazines over several years with musicians, writers and scene makers of the time. The Trick here is that the statements have been taken out of the larger interviews and placed in the appropriate chronological timeline. This technique provides a flow of conversation and perspectives on an event by disparate interviews into a dialog making the events come ‘alive’ and not just a formal recap. 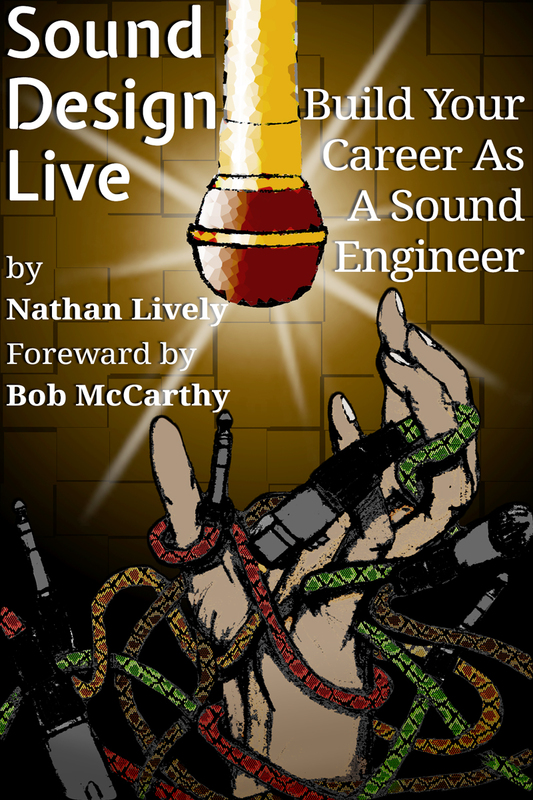 In a very similar fashion Nathan Lively a sound designer and live audio engineer , a frequent guest on AVNation.tv podcasts and who has his own very good show – Sound Design Live, just published an e-book that follows the same oral history methodology. 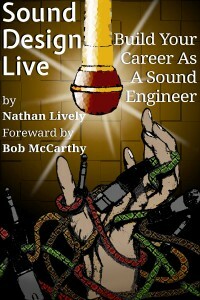 In the book, “Sound Design Live, Build Your Career as a Sound Engineer”, Nathan has taken the transcripts of interviews from two years of producing his show to create a conversation on topics ranging from tools and techniques to the relationships of building a career. What the book is NOT is an ivory tower thesis on audio theory nor a product placement webinar on ‘Better Audio Techniques’. While the textbooks and manufacture seminars can be beneficial it is the apprenticeship like relationship that really provides usable tools and practical knowledge. I was particularly taken with the section on ‘Working with Technical Limitations’ which focuses on building systems with limitations such as budget, available gear or space. I also really enjoyed Pierre Dupree of the Alley Theater in Houston discussion on minimalist microphone set up in an 800 seat venue. The two pieces are quite refreshing and reminded me of an interview in EQ magazine with Rudy Van Gelder who, much to the writers chagrin, would not talk specific mic models but only types of microphones to be use for an application. At the time the article was a game changer where I stopped looking at model names and focused on learning technique. The book has interesting sections on remote access to controls, mixing with computers vs physical decks, business networking, webcasting and more. If I had to lay criticism it would only be my preference to having the cast of characters introduced at the beginning and the ‘speakers’ laid directly one after the other like a play – each with their name and lines in order. This would be more in line with Nathan’s background in theater. It is but a small point and most likely go unnoticed by anyone else. If you are looking for a book to take you step by step through learning a specific technique this book is not for you. If you want an insight to the world of live sound and design, the types of people who can become resources and the pro and cons of some hot button techniques then this book will fill your head with great ideas. Be sure to purchase a copy then read some of his great articles and check out the podcast, you’ll be glad you did.